[Guide] How to trade BxC into Currency? 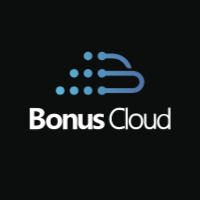 BonusCloud is now open for the withdrawal function, and users (you) can withdrawal BxC that you get by contributing resources with your devices as nodes. Here is the guide for withdrawal procedures of withdrawal BxC directly to the exchange, which can save the gas fees of ETH during withdrawing first to the ETH wallet then to the exchange and also reduce the loss risk. Go to gate.io to register for an account, please be noted that BxC is only officially listed in this exchange. The you have to move to finish the verification (KYC verification) as normally the large and well operating exchanges will ask you to complete this procedure to avoid any possibility of money laundry. You can follow the guide of gate.io to complete. Go to BonusCloud official website (https://bonuscloud.io) to withdrawal BxC. Please be noted that BonusCloud does not suggest users use the exchange address, since there is a slim but existent possibility that your address might be recycled and the transactions would be other’s. Trade the BxC. In gate.io, it is allowed to trade by BxC/USDT, in theory, 1 USDT= 1 USD, but actually, it might have some slice difference. Input the amount of USDT that you wan to sell, and be noted that there is minimum sell amount. Then click “sell”. When someone want to buy your offer, and pay you as the ways you have set, you can receive the money, then you confirm receive the money, then the exchange will send your USDT into the buyer’s account. Then you have finished the trade, and earn money by BxC in your pocket.